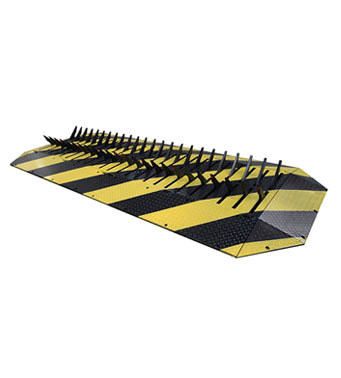 TYRE KILLER is composed by heavy duty spikes that rise from the ground; it operates like an access control barrier, it prevents the passage of unauthorized vehicles or it allows the exit from a supervised area. It can be installed with other access control elements (for example Boom Barrier, Bollards, Road Blocker or Gates) to achieve an access control check-point at the highest level of security. 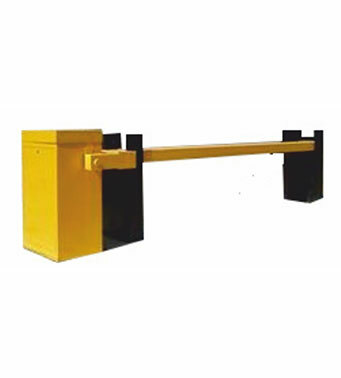 Axle Breaker is composed by heavy duty Blades that rise from the ground; it operates like an access control barrier, it prevents the passage of unauthorized vehicles or it allows the exit from a supervised area. It can stop unauthorized vehicle entry by damage the axle. 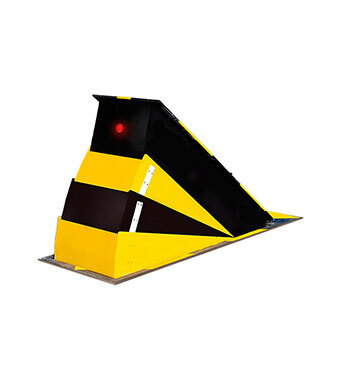 Road Blockers are an electro hydraulically operated rising step obstruction which rises above the ground level on giving a valid input signal and thus prevents unauthorized intrusions at entry/exit points of high security premises e.g. embassies, Air Force Static, Atomic Power Station, Data Centers etc. When in lowered position the vehicles can pass through, thereby providing a good enhanced security blockage system. 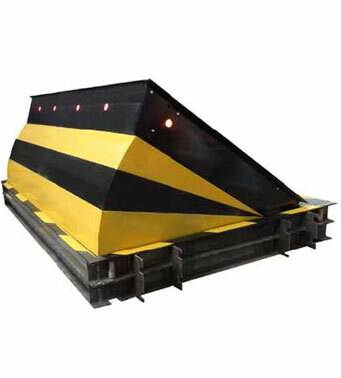 The housing and the blocking element of the Road Blocker are designed in full core steel profile construction, ensuring maximum safety against corrosion. 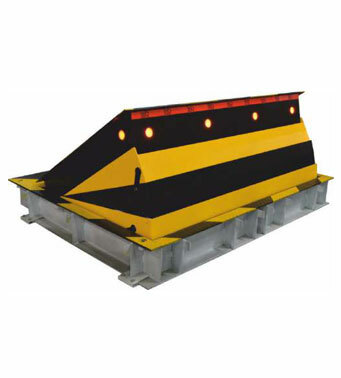 The impact face of these road barrier is reinforced with steel ribs and impact plates to transfer mechanical forces to reinforced concrete foundation.